Cosmetic injectable treatments have soared in popularity among men over the last few years—for good reason! As new formulations become available and we discover new and improved ways to use them, we are able to help patients look naturally younger with virtually no downtime, minimal discomfort, and quick results. Here at Ahava Medspa and Inland Cosmetic Surgery, we offer a number of FDA-cleared injectable products to help you combat some of the most common signs of aging while still keeping your masculine look intact. How are BOTOX & fillers different for men? While aging—and feeling self-conscious about the results—is something that impacts both men and women, your anatomy, how you age, and ultimate goals can differ greatly. For instance, many of our male patients do not want a fully “clean slate.” Instead, they opt to reduce the harshness of wrinkles in a way that looks subtle and natural rather than totally smooth. For this reason, it’s incredibly important to work with providers who have experience administering injectable treatments for men. Under the supervision of our talented team of cosmetic surgeons, our physician assistant and RN at Ahava Medspa have years of combined experience helping women and men feel great about the way they look. 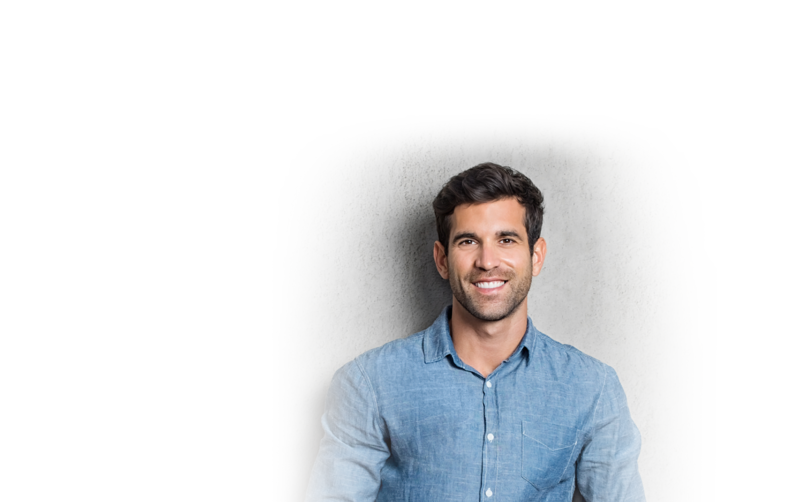 As our male patients can attest, their attention to detail, understanding of male facial anatomy, and ability to work closely with you to achieve the best results mean you’ll leave our offices looking sharp. BOTOX is by far one of the most recognizable names when it comes to injectables. It—and other neurotoxin products like Dysport—is well-loved for its ability to both soften the appearance of harsh lines on the brow and around the eyes while also preventing further deepening. BOTOX and Dysport are designed to address expression-lines. These creases are created over the years with every smile, brow furrow, and squint, and they can dramatically age you as they become etched in the skin. When injected into the muscles that control these movements, the small amount of neurotoxin in BOTOX and Dysport interrupts signals between your nerves and muscles. This allows the wrinkle to relax, creating a smoother appearance. When administered correctly by an experienced provider, these products will not give your face a frozen look or prevent you from expressing yourself. Your wrinkles will just be less evident. Treatment just takes a few minutes, and patients report that it feels like a slight pinch. A bit of swelling and tenderness at the injection sites is perfectly normal. You’ll be able to resume your normal activities and start to see the positive effects within a day or two, and we recommend coming in for maintenance treatments every three to six months to keep your results looking fresh. Fellas, you don’t have to be afraid of fillers! While it’s crucial to choose an experienced provider, the right product administered correctly and in the right amount can help reduce the appearance of sagging around the lower cheeks and jaw and reduce the severity of wrinkling around the nose and mouth. To avoid a “puffy” look, our providers typically inject quite a bit less product in men than women. The Juvéderm® family of fillers. With a number of different formulations, we are able to truly customize your treatment. With strategically placed injections, we can correct mild to severe lines and wrinkles around the nose and mouth, address drooping, and reduce pre-jowl folds. This hyaluronic-acid based filler is also totally reversible if you aren’t a fan of your results. Depending on the products, your results can last from 6 months to over a year. The Restylane® family of fillers. Also formulated with hyaluronic acid, Restylane products are designed to provide comfortable treatment of moderate-to-severe folds, eliminate “smoker’s lines” around the mouth, and correct laugh lines around the nose and mouth for up to a year. Radiesse®. This filler is made with tiny, smooth calcium hydroxylapatite (CaHA) microspheres to create a scaffolding effect in your skin, helping to create a long-term improvement. It’s great for contouring areas around the mouth and nose, reducing nasolabial folds and marionette lines, and is often used to non-surgically augment the nose, jaw line, and chin. Bellafill®. As a collagen-based filler, Bellafill is an excellent option for reducing wrinkles in addition to improving the appearance of moderate-to-severe acne scarring and pock marks—for up to 5 years! Our Rancho Cucamonga surgery center and medspa were designed for your comfort, safety, and privacy in mind. We’d love to show you around, answer any questions you have, and help you explore your options during a consultation. Contact us today to get started!